17th January 2016 – World 10,000m Champion Vivian Cheruiyot (KEN) used her trademark sprint finish to win the Kenyan Police Cross-Country Championships at Ngong racecourse in Nairobi. In a high quality event with many world class athletes Vivian was able to cover every move at the front of the race until using her speed at end to take a pleasing victory. 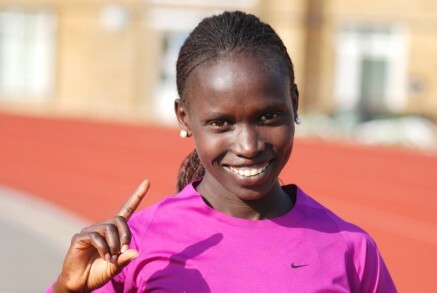 Linet Masai (KEN) continued her return to form in fifth. In Europe, Thomas Ayeko (UGA) was just unable to take his second victory in a week as he finished second at the IAAF event in Antrim. Given the same time as the winner Thomas just lost out in the sprint finish. Emmanuel Bett (KEN) placed fifth. Timothy Toroitich (UGA) continued his impressive record in Spanish cross-country races as he finished on the podium again, this time taking third place in the IAAF event in Seville.